Much noise has been heard about Russia “selling” its S-300 anti-air defense missile system to Iran. In fact, there are several important nuances to the Russian President Vladimir Putin’s April decree that suggest that actual sale might be anything but imminent and is intended to provide leverage for negotiations. First, the decree neither made or approved the sale of a single S-300 system to Tehran. It merely removed the 2010 ban on exporting the system to Iran, making it legal for Russia’s state-owned weapons export company, RosOboronEksport, to sell the system. Second, any decision to sell will be approved at the highest level – that is, by Putin — and not by RosOboronEksport. Third, the ban might have been intended first to maneuver Tehran into withdrawing its $4 billion law suit filed against Russia for Moscow’s failure to deliver the system as agreed by contract. Moscow has just requested Tehran do so. 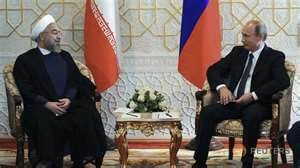 Fourth, it may have been a quid pro quo offered by Moscow to Tehran to initial the preliminary international agreement on Iran’s nuclear program. Fifth, it could be a message to Washington of the kind of complications Moscow can inflict on U.S. and its allies’ interests across the globe should Washington continue to encourage Kiev to reject direct negotiations with the Donbass rebels. Sixth, connected with the previous point, it could be an attempt to mobilize Israeli pressure on Washington. Israel has already been very careful to refrain from supporting the U.S. position on Ukraine and even offered to help mediate between Moscow and Washington. Obviously, it is Israel that has the highest stake in preventing Iran from getting the S-300 and a nuclear weapon. Therefore, the potential sale of the former could energize Tel Aviv’s efforts to help resolve the Ukraine conflict in order to get Moscow to refrain from making the sale. Unfortunately, if this is part of Moscow’s thinking, then it gravely overestimates the weight Netanyahu’s Israel carries in Obama’s Washington. Finally, the decree as a threat to make the sale could be intended to function as leverage in negotiations either with Tehran or Kiev as needed and achievable. Depending on the outcome(s), Moscow now has the option of quickly making the sale or not. In chess, terms the move is one of positioning rather than striking.